HOPTIVKA, Ukraine — Ukrainian border guard Oksana Ivanets winds her way past a 2-meter-tall green metal fence topped with coiled razor wire and through serpentine, timber-lined trenches to a bedroom-sized bunker built to withstand a direct hit from a 152-millimeter artillery shell. Out of a small window that looks north into a sprawling field of golden sunflowers, she points to a spot on the horizon where Ukraine ends and the territory of its adversary begins. “It’s only about 400 meters to the Russian border,” says Ivanets, dressed in a forest-green uniform. This outpost was a part of the first segment of an ambitious $520-million, four-year defense plan announced by then-Prime Minister Arseniy Yatsenyuk with great fanfare at the peak of the war in eastern Ukraine against Moscow-backed separatists in late summer 2014. Dubbed in its early days “Project Wall” and known also as “The European Rampart,” the barrier was intended to fortify a significant section of Ukraine’s porous eastern frontier while both literally and symbolically separating the country from its Soviet-era hegemon. But four years on, it’s not exactly the bulwark the government planned. Critics of the wall project say it is a waste of much-needed funds and resources. A struggling economy has forced a fourfold reduction in its budget and pushed its scheduled completion date to 2020. And an embezzlement scandal has put the entire project in question. Fresh indictments this month have brought it back into the public eye. For some, the section of the wall that stands today is more a physical reminder of the country’s enduring corruption than a symbol of progress and security. Yatsenyuk responded in English via e-mail to RFE/RL questions about the project, insisting that it has been a success. “This is part of one of the greatest achievements of the post-Maidan government and the efforts of all Ukrainian people: restoring the country’s defense capabilities,” he argued, using the colloquial term for Ukraine’s 2014 street uprising that ousted a Moscow-friendly president. As it stands, the wall project covers merely a fraction of Ukraine’s 2,300-kilometer eastern border with Russia. It comprises 170 kilometers of trenches; 72 kilometers of fencing; a 165-kilometer patrol road; a 19-kilometer ground strip fitted with seismic sensors to detect objects of more than 60 kilograms; and four frontier posts with 17-meter-high watchtowers equipped with security and thermal-imaging cameras. There is also a 20-kilometer section of fencing and trenches in the war-torn Luhansk region to the south. In some places, there are natural boundaries that prevent crossings. Border guard Ivanets still views it with optimism. She says that even the work so far is better than nothing, adding that something needed to be done to try to safeguard Ukraine and, in particular, Kharkiv, from the same fate as occupied regions to the south. Kharkiv, an industrial city 480 kilometers from Kyiv, is the country’s second-largest city with 1.4 million residents and a Ukrainian military stronghold. It withstood an initial attempt by pro-Russia separatists to seize control in 2014. Swaths of the Luhansk and Donetsk regions with more than 4 million inhabitants and a 400-kilometer border with Russia remains under the control of Moscow-backed separatists. Kyiv and international observers accuse Russia of exploiting Ukraine’s loss of control there, slipping its forces and equipment easily across the border to back separatist offensives and even launch its own when those fighters need extra help against government troops. “It was determined that if a Russian attack against the Kharkiv region is initiated, they will try to go right through this point,” says Ivanets. She concedes that the wall would not defeat a Russian offensive. But that’s not its point. It has also angered residents of border towns and villages who complain it’s an eyesore and a barrier that has disrupted their lives. Some complain it keeps family and friends apart. Local farmers bemoan the loss of fields that stretched into Russian territory where their livestock used to graze. A major reason locals were able to move so freely across the border and constructing the project has been such a headache is that the countries’ shared border was never properly demarcated after the collapse of the Soviet Union. “We lived here without a wall for 100 years. It’s a big shame to [build it] now,” 83-year-old Alisivka village resident Lyubov Dekhnich says during a break from picking raspberries outside the house her family built in 1955. According to Oksana Ivanets, wild boars and deer are the only border violators in the vicinity of the fence at the moment. Beyond the barrier itself, new bureaucratic procedures for crossing official border points have been put into effect, further limiting freedom of movement. 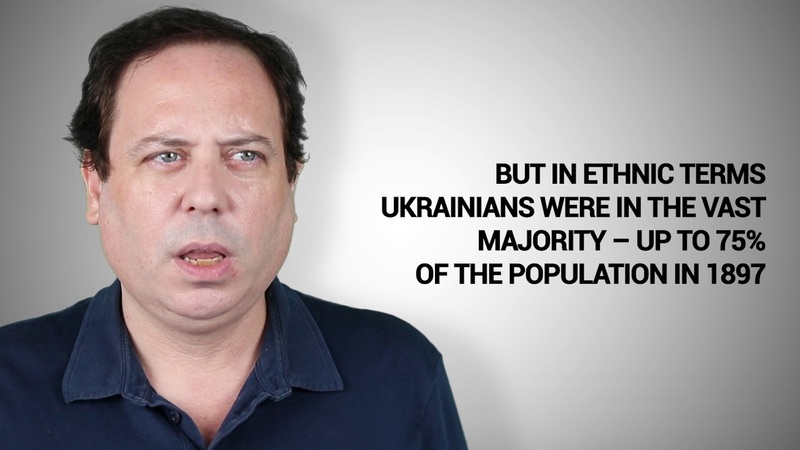 Until recently, both Russian and Ukrainian citizens could cross the administrative border with internal passports. Today, to the chagrin of locals, they need international passports. Project Wall’s construction should have been faster, wider, and better, according to Ukraine’s National Anticorruption Bureau (NABU). That FBI-trained anticorruption agency — formed in the wake of the Euromaidan protests as Kyiv set out to implement crucial reforms to secure Western aid — found that some of the patrol roads along the wall where border guards cruise in fourwheelers, for instance, were narrower than the planned three meters and that at least $365,000 was stolen from its budget. Eight people from the Border Guard Service of Ukraine and local contractors were detained in August and November 2017 for alleged embezzlement. On July 5, NABU announced it had completed its pretrial investigation into their actions and prepared an indictment for special anticorruption prosecutors to send to court. While it is unclear who was behind the alleged scheme — especially since an order from the Ukrainian Security Service (SBU) made all information about the wall project a state secret — some point the finger at Yatsenyuk, as the wall was his idea. “Even if contractors and local officials had something stolen (the investigation will have to prove it in court), how could [a] prime minister be involved in this?” he adds in an e-mail. Yatsenyuk argues that his brainchild has also succeeded in halting smuggling and illegal migration while helping Ukraine secure a visa-free regime with the European Union and lay the groundwork for possible NATO membership. “Our partners have always made it clear that Ukraine has to create a reliable border with Russia,” he says. Ukraine secured visa-free travel with the EU in June 2017, but it is unclear what role the construction of the wall played in that agreement. And with the conflict in Donetsk and Luhansk grinding on, NATO membership remains a distant prospect. 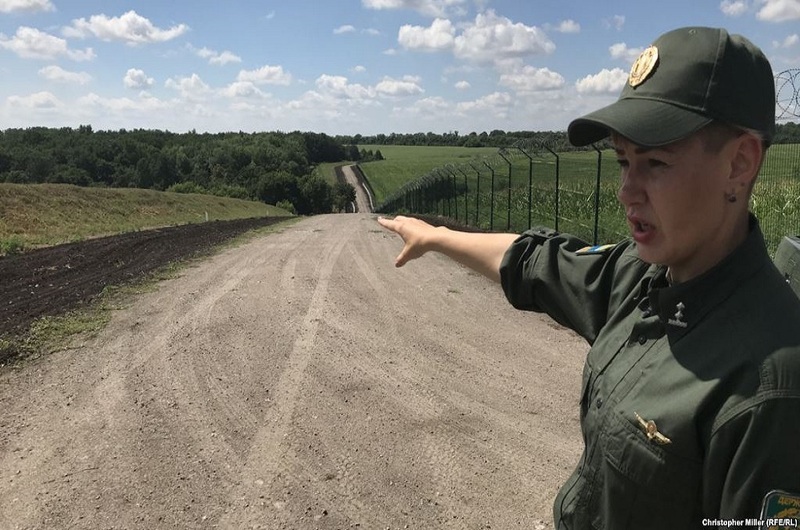 Driving along the fence, Ivanets says the only border violators around there these days are wild boars and deer that roam the surrounding forests and tall grass. But a greater threat looms just over yonder. Ivanets says the most extensive and aggressive Russian military activity was observed along the Kharkiv border throughout 2014 and 2015, but that border guards still see men in military uniforms on the Russian side “practically every day,” sometimes driving armored personnel carriers. The war in eastern Ukraine is in its fifth year, with no end in sight. More than 10,000 people have been killed and a peace deal known as the Minsk II accord has failed to stick. Recently, the rhetoric from Moscow and Kyiv has become more aggressive, with Russian President Vladimir Putin predicting just days after his Helsinki summit with U.S. President Donald Trump a “serious risk of escalation” in eastern Ukraine. As Ukrainian troops continue still dug in and preparing for the worst, Ukraine is pressing on with Project Wall. The chief of the Ukrainian Border Guards Service, Petro Tsyhykal, predicted recently that the Kharkiv section of the wall would be completed by the end of this year, with more construction planned in Luhansk, Sumy, and Chernihiv scheduled for completion in 2020.